The last open marathon I ran was in LA ten years ago. In total, between 1993 and 2001, I ran 12 open marathons. My biggest achievement as a marathoner was 30th place at the 2000 Olympic Trials in a personal best of 2:47.03. 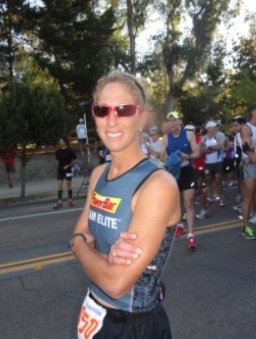 Triathlon eclipsed my marathon running. The season began earlier, ended later, and I started doing multiple Ironman races each year. I substituted marathons with half marathons and suddenly a decade has passed since my last marathon attempt. With my cycling derailed by injury, I started slowly increasing my run volume. As my running progressed in both speed and duration, a crazy idea popped into my head. 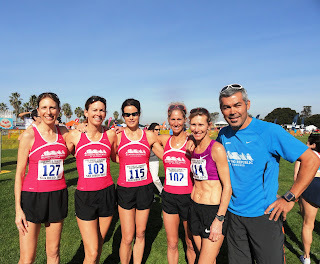 Wouldn’t it be fun to try to qualify for the 2012 Olympic Trials? And by fun, I mean an interesting challenge, because truly, running marathons is not really that much fun. 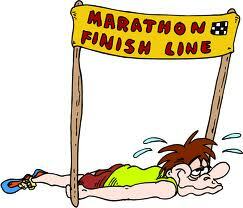 If you have ever run an open marathon, you know that the fun stops around mile 16 and does not return until the finish line has been crossed and you are lying down. My thought was to run the LA marathon. 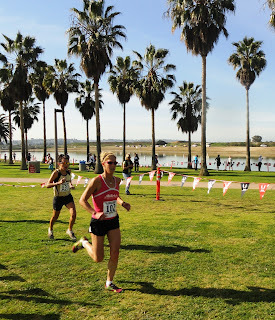 Aside from the synchronicity of it being the last marathon I ran, I enjoy racing in California. The trip from Colorado is simple, my family is there, and I get an extra hour of sleep. Additionally, the new course passes oh so close to my sister’s house that if I need a potty stop or a nap it can be easily done without wasting too much time. And, I figured it would give me plenty of time to run another marathon should I miss the time standard. I laid out a plan that included varying workouts of speed and tempo. I started doing some double runs. My long runs, once capped at 2 hours, reached 2:30. I handled the mileage well, but I could not commit to such an endeavor until I ran the successful half marathon in San Diego. You may be wondering how I can be so audacious as to think I can run a personal best by over a minute at 6 weeks shy of 41. Even though eleven years have passed since I set my best time, I have several things in my favor. My run form is much better now; I have worked hard with running experts to maximize my biomechanics. I have corrected many of the muscle imbalances that plagued me in the past with consistent and targeted gym work. I train smarter. My nutrition has improved. I have more respect for the distance now than I ever did in the past. The race is March 20. The time to beat is 2:46.00. Let the fun begin! Last year I posted a list of Triglets, triathlon words that don’t exist but should. Here is part two. Aeropeel – The moon shaped area on your back that burns and peels from being in the aerobars and your shirt does not provide proper back coverage. Chlorofilm – The coating on your teeth after swimming in a heavily chlorinated pool. Compudamage – The flat spot on your tire from riding on the trainer. Endorfix – The good feeling after a good workout. Excercoma – Exhaustion that occurs after a long day of training. Fitnofade – The irrational fear triathletes have of losing fitness. No, it doesn’t go away while you are sleeping. 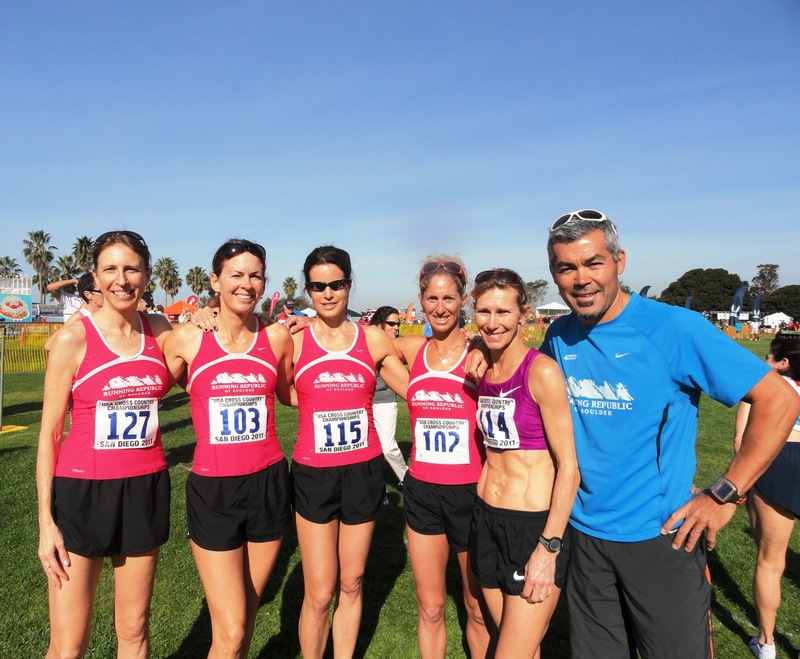 Ibuse – Using ibuprofen during training and racing to mask pain instead of taking time off. Ironhangover – The aftermath of an Ironman, from dehydration, too much sugar and too much Ironman. Linkgroan – The noise your chain makes when it is way too dry. Number jockey – Anyone who is obsessed with their power numbers or run paces and constantly tell you about it. Number-resin – The leftover body marking you see on people days after the race. Pantry-Raid – Waking up at 2am hungry after a long day of training and eating everything in sight. Specurace – Estimating what you could have done in the race had you not blown up. Spree– The stream when you go to the bathroom on the bike. Squeech – The noise your running shoes make when they get wet. Tantoo – Permanent tan lines from years of swimming. Trainwreck – A string of good workouts followed by a very bad day. Triflation – Any lie that makes training better than it actually was when telling friends what you did. If I was a horse, I would not be a mudder; I hate getting dirty. 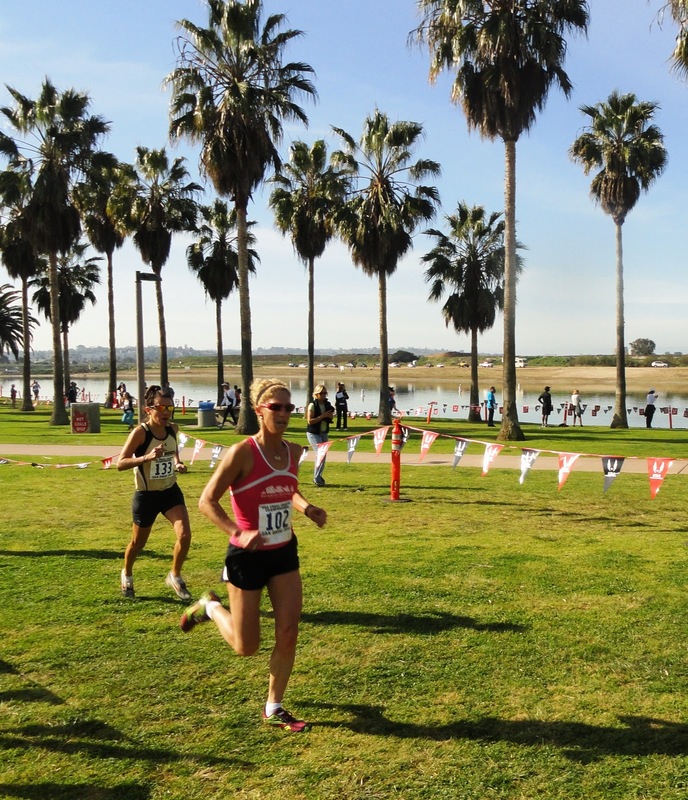 Luckily, the course for the 2011 Cross Country National Championships in San Diego was entirely on grass. The 2k loop, which was completed four times, was deceptively hard. The first kilometer was flat, with a single turn. The second kilometer was twisty, hilly, off camber and a ton of fun! The spikes definitely provided needed stability, especially on the steep downhills. My regular race strategy is to start controlled and build my pace. I knew that I would not be able to adhere to this plan. I was advised to go out hard to establish my position. In fact, I received a lot of pre-race guidance from people. When the gun fired, I went out hard. Really hard. I found myself in third and by the one kilometer mark, I moved into second. I knew a woman in my age group was sitting on my shoulder. I had to shed her before the last lap. 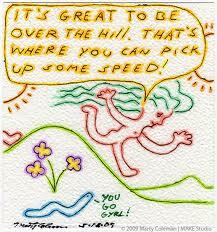 I did not want to sprint anyone down the homestretch; that is not a battle I can win. I accelerated on the hills and by the third lap, I finally dropped her. I finished first in my age group and second overall. Colleen De Reuck was the overall winner, beating me by 90 seconds. 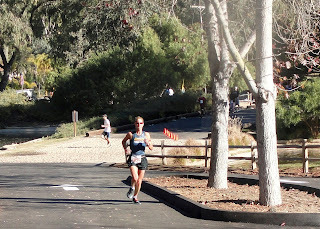 At 46, she is still incredibly fast, and thankfully not in my age group. Her first, my second and Laura Breuss’s sixth put our team on the top step of the podium. The other two team members, Lydia Dissly and Mary Mosier, also put in strong performances. The cross country format is exciting. The course layout is spectator friendly and the varying terrain make the kilometers pass by quickly. After an easy warm down and a quick swim, I went back to the race site to watch the open men’s and women’s races. I follow track and field closely, so I am familiar with the top runners, and I felt like it was an opportunity to learn something by watching the best. It was enlightening. I realized why I am not a world class runner. My ponytail is too short. All of the top women had ponytails flowing behind them like a mane. My ponytail is stubby and looks like a chia pet. I have the wrong attire. In order to place in the top 10, one must wear booty shorts and a jog bra with awesome abs on display. I wear regular running shorts and a longer top to cover my frighteningly white stomach that does not have a 6-pack. My run form is deplorable. Do you remember the scene from Miss Congeniality in which Michael Cain’s character tells Sandra Bullock’s character to glide while she walks? Well, Shalane Flannagan, the women’s winner, glided. Her run form is impeccable; she made the hard work look easy. In stark contrast, my arms flail, my feet turn out, I have a grimace on my face, and even when I run at full speed, it looks like I am doing the Kona shuffle. 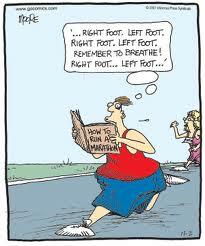 But, the primary reason I am not world class runner? I’m just not that fast. I hope to run another cross country race again. I have to put my funky spikes to good use. 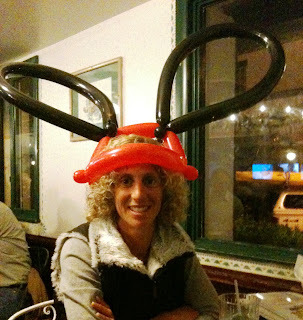 A little silly at dinner after the race.